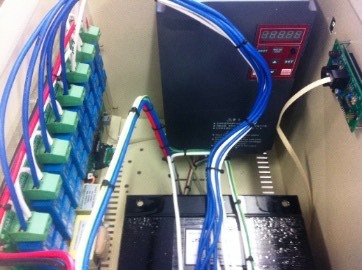 In addition to the standard Inverter sytem, Phase Change Converters also have developed the unique Automatic Voltage Stabilised (AVS) Inverter which allows inverters to operate on very poor power supplies where singe phase voltage drops as low as 100V, while still providing 400V 3 phase output - suitable for operation of single motors. The AVS Inverter system was originally developed for the Cental Highlands of Vietnam where very low income coffee farmers need 3 phase to pump water at precisely the right time to get better production. The reality of very long cable runs of undersized and often aluminium cables (inadequate expensive private lines) means that the available single phase supply crashes under any load. 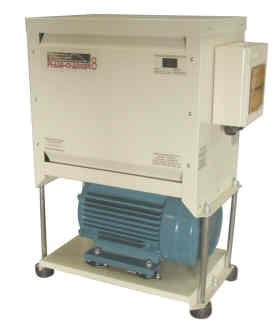 By using the AVS system (as used on the AVS Phase Changer) in conjuntion with a 3 phase VSD / Inverter, motors or pumps can be started over a slow ramp up time, taking the starting shock out of the incoming supply line, and allowing the user to get the absolute most out of the available supply. While the incoming supply continues to fall as the pump speed increases, pump motor speed can be set to prevent the incoming supply falling below 100V which is the cut-off point for the AVS controller. The benefits to poor farm families of getting more water to pump at critical times can make dramatic changes to their income in these places. While there is not a lot of application for this in Australia, applications definately exist in many parts of the developing world, although manufacture cost (even when done in China) can be the main issue to more extensive use in these poorer countries. If there is a charitable government organisation, finance, or NGO interested in pursuing this further, please contact us.